Perhaps one of the most satisfying moments in a Marvel Studios film (so far) came from Ant-Man and The Wasp, as least for this reviewer. The kiss shared between Hank Pym (Michael Douglas) and his long-lost wife Janet Van Dyne (Michelle Pfeiffer) was one of those moments you hope has the emotional punch on paper, and it most definitely delivers on screen. That said, the amount of screen time we got of Janet Van Dyne was disappointing, especially once we saw how damn capable she was. 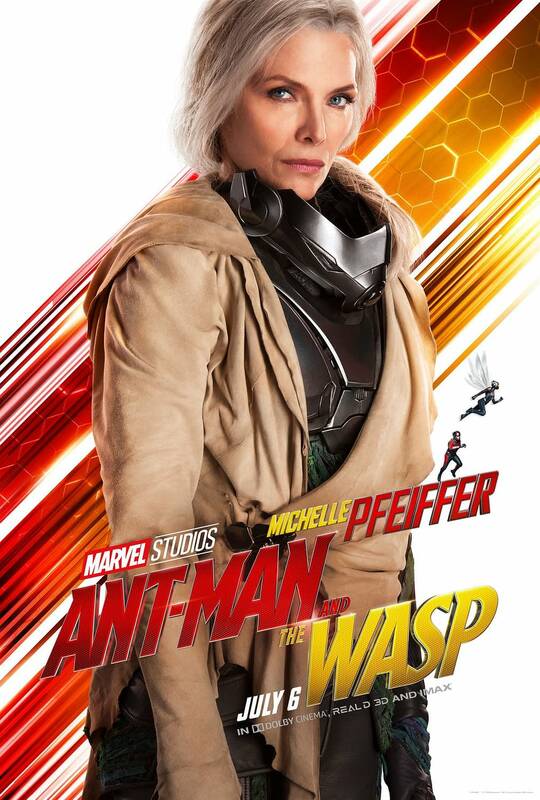 Thankfully, or frustratingly, director Peyton Reed has confirmed the addition of more Janet-centric materials (especially from her time in the Quantum Realm) will be coming to the 4K Blu-ray and DVD deleted scenes of Ant-Man and The Wasp. “We wanted to maintain a little bit of mystery about Janet and what has transpired in the thirty years she’s been down there [in the Quantum Realm] and also the idea she talks about how she’s evolved while she’s down there. We only see a couple of examples of it. “I had no idea if she would even be remotely interested in doing this kind of a movie again or how she’d feel about it. So, we met. She came over and sat in one of the conference rooms, just the two of us at Marvel and kind of talked through who Janet Van Dyne was in the comics and who she might be in this movie. She was really funny, because one of the first things she said to me, she was like, “You know. I’m going to tell you up front. My process on every single movie I have ever done in my career, I’ve tried to back out of the movie at the last minute. That’s just my M.O..
Ant-Man and The Wasp is expected (but not confirmed) to be releasing for home enjoyment sometime in October of 2018.